A Paschal candle is a large, white candle used in liturgies in Western Christianity (the Roman Catholic Church, the Anglican Communion, and Lutheran churches, among others). A new Paschal candle is blessed and lit every year at Easter, and is used throughout the Paschal season which is during Easter and then throughout the year on special occasions, such as baptisms and funerals. 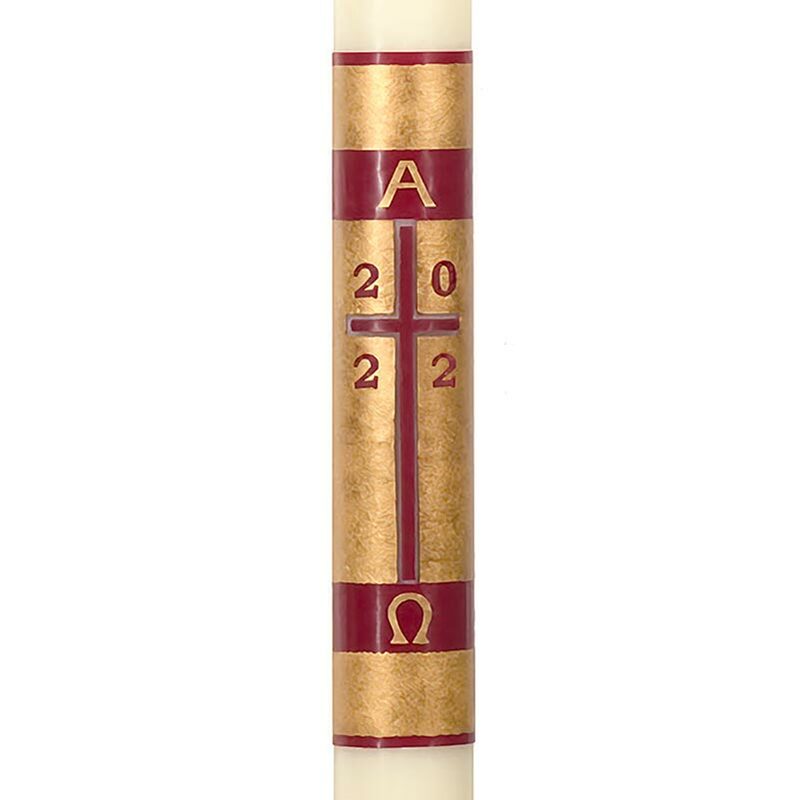 Every Will & Baumer® Paschal Candle is designed with beauty and liturgical practice in mind. Each is hand crafted using 51% beeswax to burn with confidence for a long lasting, smoke free performance. Paschal nails included with each paschal candle.